In order to keep the quality under check, the MNRE has carved out an “Approved List of Models and Manufacturers”. 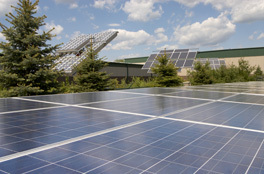 This list consists of approved models and manufacturers of solar modules and solar cells. It consists of two parts – List I specifying models and manufacturers of solar modules and List II, specifying models and manufacturers of solar cells. This list will be effective from March 31, 2020. Any government projects and others set up for the sale of electricity to the government, after March 2020, will be required to procure components from these enlisted vendors only. Any solar project for which bids have been finalized before the issuance of this order will be exempt from this mandatory procurement requirement. iii) other documents required by statutory, state, Company’s laws, etc. Since solar power installations are set up for a period of 25 years, the solar cells and panels used in these projects should be of good quality carrying long warranties. In western countries, testing is usually done by independent testing labs. In India, it will be now done by government officials. If done properly, these quality checks would ensure higher power generation and long life of solar projects. This step should boost the quality of solar projects in India and also support the ‘Make in India‘ movement. For any grid-connected solar projects developed by ministries, departments, and other central public sector undertakings (PSUs), preference would be given to domestically manufactured solar products like panels and inverters.